He chaired the Senate Foreign Relations Committee longer than any other Senator in American history. 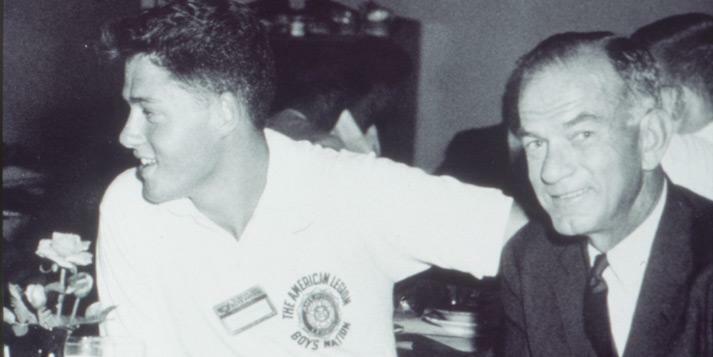 Fulbright with a young Bill Clinton. Fulbright showing his love for the Razorbacks on his senate office door. His career in the Senate lasted 30 years and influenced the lives of people the world over. 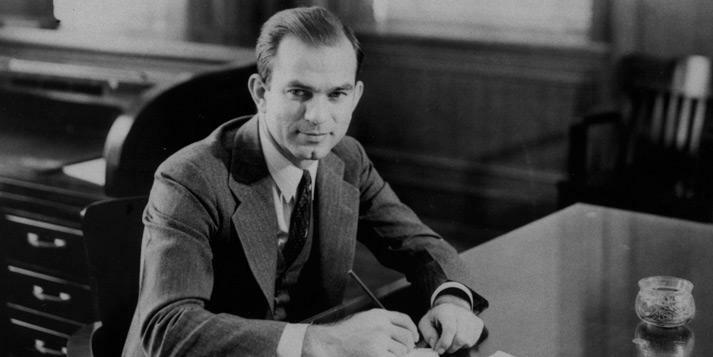 In 1942, J. William Fulbright was elected to the United States House of Representatives from Arkansas’ 3rd Congressional District. After one term in the House, he began a career in the Senate that was to last 30 years and to influence the lives of people the world over. Before arriving in Washington, Fulbright had already served as president of the University of Arkansas, from 1939 to 1941. He was the youngest college president in the nation. Fulbright spent all his school years at the University until 1925, the year he left for Oxford as a Rhodes Scholar. After returning to the states, he earned a degree from the George Washington University in 1934. A Senate career that was to be marked by an unwavering dedication to global cooperation began during World War II, years during which U.S. foreign policy was transformed. Americans began moving from a cautious isolationism toward internationalism in world affairs. Acting on his belief that an international peacekeeping organization was crucial in formulating a humane foreign policy, Fulbright sponsored a resolution committing the U.S. to a leadership role in forming the United Nations. Fulbright was a dominant intellectual force in Congress. He chaired the Senate Foreign Relations Committee longer than any other Senator in American history. 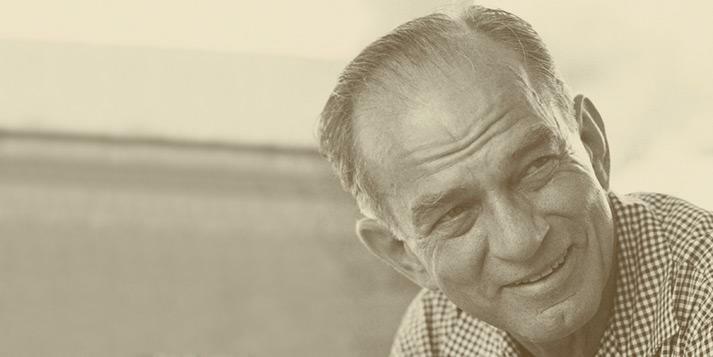 He introduced legislation that led to the founding of the Kennedy Center for the Performing Arts, and was also the only senator to vote against funding the so-called "Un-American Activities" investigations of Senator Joseph R. McCarthy of Wisconsin. Fulbright authored several notable books, including The Arrogance of Power, The Crippled Giant and The Price of Empire. Empathy, a theme throughout these three texts and much of his writing, is at the core of Fulbright’s international educational exchange programs. Only by understanding our neighbors – whether they are across the street or across the world – will we be able to achieve a world that chooses diplomacy over war. He also created the prestigious Fulbright Scholar Program. His vision to promote international understanding through the worldwide exchange of university students, teachers, artists, and other professionals was realized in 1946. Today, 51 binational commissions join the U.S. in underwriting a program that has awarded more than 325,400 scholarships. 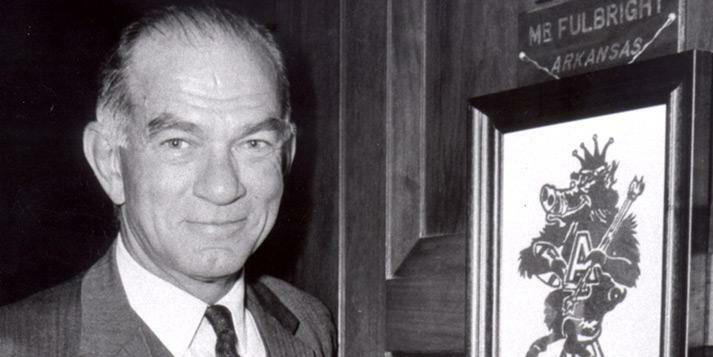 In 1982, the University of Arkansas formally dedicated the J. William Fulbright College of Arts and Sciences, adding the senator’s name to the university’s largest college in recognition of his contributions toward international understanding and education. To mark the 50th anniversary of the Fulbright Exchange Program, the U.S. Postal Service issued a special commemorative stamp during a ceremony held February 28, 1996, in Fayetteville. ...the highest function of higher education is the teaching of things in perspective, toward the purposes of enriching the life of the individual, cultivating the free and inquiring mind, and advancing the effort to bring reason, justice, and humanity into the relations of men and nations. On October 24, 1999, the University of Arkansas dedicated the Fulbright Peace Fountain in his honor. The fountain, designed by world-renown architect and Arkansan Fay Jones, is dedicated to the possibility of peace through education. Former President William Jefferson Clinton joined former and current Fulbright Scholars on October 21, 2002, to dedicate a sculpture of Fulbright, which faces the Fulbright Peace Fountain. "The best thing America could do was to be an intelligent example of the world through material helpfulness without moral presumption. He said that we should make our own society an example of human happiness, make ourselves the friend of social revolution, and go beyond simple reciprocity in the effort to reconcile hostile worlds. He would far prefer to see us be a sympathetic friend of humanity, rather than its stern and prideful schoolmaster."